This week’s “News, Nuggets, and Insights” brings yet again, very tough issues that tears at our heartstrings. By now, everyone has heard of the tragic news of 300 priests accused of abusing 1,000 children in the Catholic Church. This has occurred in just one state, Pennsylvania. As always, this week’s program draws deep understanding from God’s Holy Word. 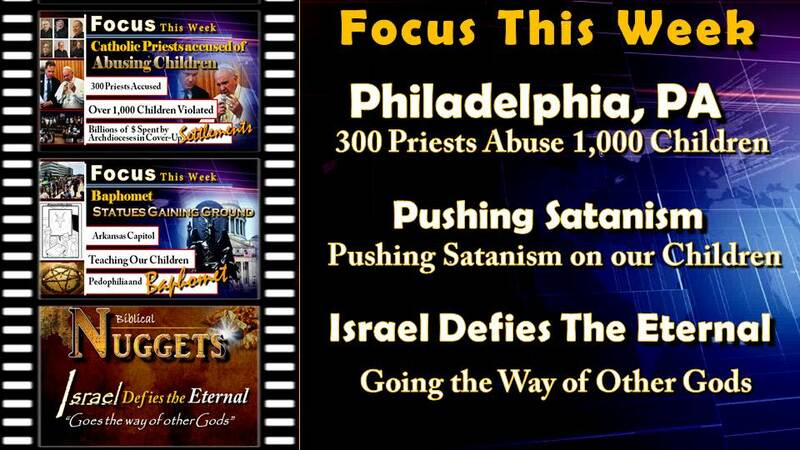 God’s people everywhere need to be aware that the spirit world is hard at work and Satan knows he has a short time. God warned Israel not to go the way of foreign gods. We know the accounts from scripture of what happened to Israel when it defied the Eternal. In light of what is happening today, Tom Kerry uses the Hebrew Calendar and God’s Holy Days to draw some chilling parallels to significant events in America. The Pope’s visit to America in 2015 and the Supreme Court ruling may go hand in hand in a way that reveals what’s ahead for our nation and the entire world. Is God’s anger being kindled? With all of this evil manifesting itself in plain sight, God’s people everywhere are looking forward to the Fall Holy Days. Surely we sigh and cry for the abominations we see, but we are still so very thankful to know God has a plan. These upcoming Holy Days are a respite in such distressing times. Thank you so much for your love, your prayers and your support to help us CRY ALOUD and to SPARE NOT! As we are grieved at the atrocities we see each week, we must warn this world with all of our might, or the blood will be on our hands. Sharing the gospel, the good news, of His soon coming Kingdom, should give each of us spiritual strength and hope that will be with us until our work is finished. Soon, Christ Himself will BREAK these wicked nations and will RULE this earth to usher in a joyous and peaceful existence; the antithesis of what we have right now. These are dark times, but we can see the light ahead, but only because God in His mercy has revealed it to us. 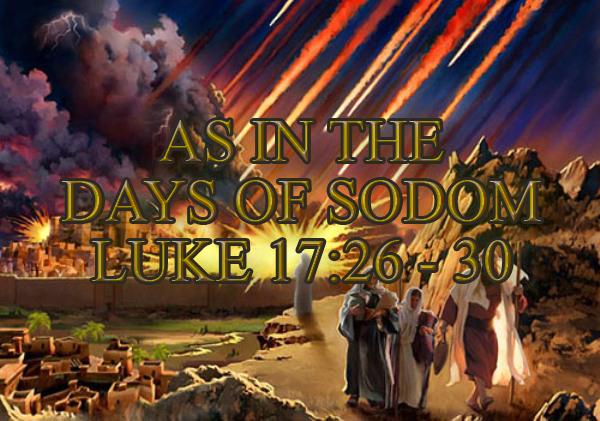 This is multi part series which we will be offering, will include 2 Sermons by Tom Kerry titled: "In the Days of Sodom" along with a 2 part series from News, Nuggets and Insights"